ACI’s Differential Low Pressure Sensor has Arrived — The DLP is Available Now! ACI is combining all the best features from multiple products to create an all-encompassing differential pressure option that should make a huge impact! Every aspect of this product was analyzed and designed to maximize the value it will present to you! Industry trends point towards increasing the accuracy on front-line monitoring devices such as measuring building static pressure. 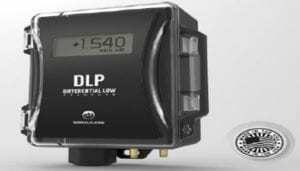 The standard accuracy for the DLP Series is +/- 0.50% but can be specified to 0.25%. Field adjustable ranges and outputs broaden the applications each unit will cover. In addition, the newly designed enclosure is attractive, robust, provides easy access, and is quick to install.